Being a new mom is awesome! It's tiring at times, but awesome! I guess you could say I was one of the lucky ones when it came to losing baby weight after the pregnancy. 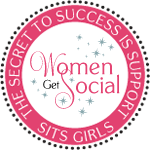 I lost it all naturally within 3 weeks after the birth and without any effort. It just fell off. However, now I am left with a bit of hanging skin that I need to tone up. With that being said I am so excited to start working out and running again after a year of not running or working out consistently. I just put in my first registration of the year for a race event held in May called the Bubble Run. While looking for my first race/run to register for I started thinking about what I was looking for in a race/run. I was looking for something fun, something that might also give out some awesome race bling, and one that was "stroller friendly". I really wanted my daughter to be apart of it and to have some fun. I came across the Bubble Run which is stroller friendly. I was so excited as soon as I found this race. The thought of running a race with my daughter in her stroller and through a ton of foam instantly gave me a feeling of being on cloud 9. The fact that I can do what I love and have my daughter with me to experience it no matter how young is just amazing. I can't wait to take my little girl for some bubbly fun. This isn't saying that I am limiting myself to only stroller friendly races and runs. I'm just saying that it makes things easier when I am able to take her with me versus finding a babysitter who can babysit her for a few hours and me worrying about whether she is doing ok or not. It's not an easy task finding stroller friendly races. Usually you have to search around the race website to find out whether strollers are allowed on the course or not. It's a hassle depending on the website. For that very reason I am going to start marking the races I sign up for and post under my racing schedule that are stroller friendly. Hi! 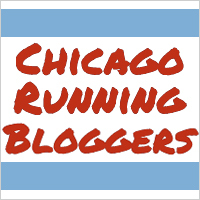 I found your blog through the Chicago Running Bloggers group - welcome! Welcome back to Chicago and I am glad to see you're back to running even in the winter time... that's got to be a big adjustment from Hawaii!! Let me know if you have any questions on Chicago races or need training tips or motivation... I'm happy to help be your cheerleader!